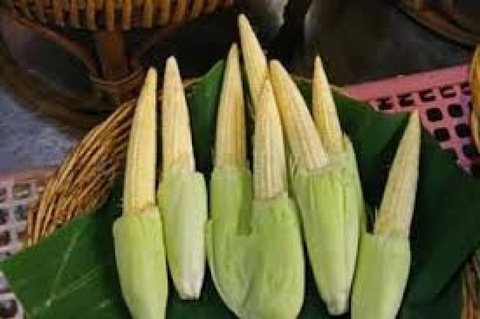 Baby corn, young corn, or cornlettes, is a cereal grain taken from corn (maize) harvested early while the stalks are very small and immature. 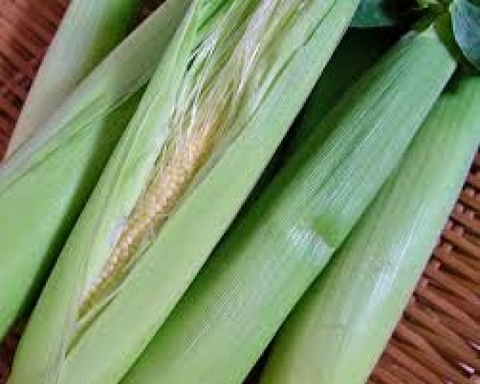 It typically is eaten whole–cob included. Baby corn ears are hand-picked as soon as the corn silks emerge from the ear tips, or a few days after. 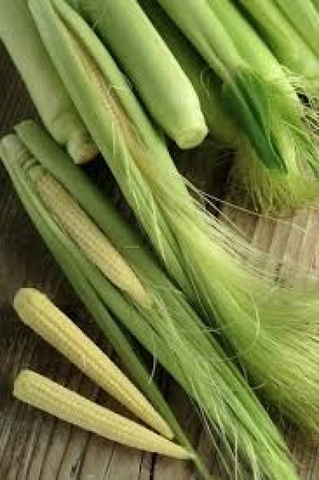 Corn generally matures very quickly, so the harvest of baby corn must be timed carefully to avoid ending up with more mature corn ears. Baby corn ears are typically 2.75 inches - 4 inches in length and 1/4 inch - 2/3 inch in diameter. 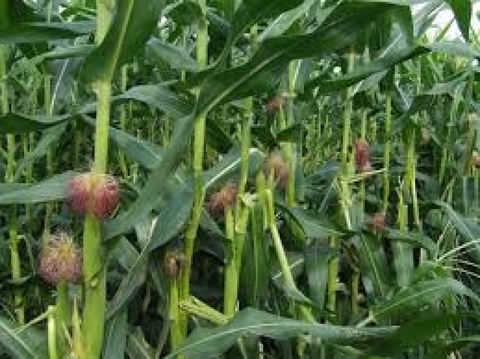 Spacing : 8" - 12"